Ampere has announced that its first generation Armv8-A 64-bit processors for data centres are now available. Renee James, former president of Intel and CEO of Ampere, hopes to take on her former company with the new processors. Intel is said to dominate the server chip market with its x86 processors but is facing increased competition from AMD, and now from processors with ARM cores. The new Ampere eMAG processors are said to deliver "excellent total cost of ownership (TCO) value, high-performance compute, high memory capacity, and rich I/O". Initial partners include big names like Lenovo as well as lesser known ODMs. The initial choice of Ampere processor is between the eMAG with 32 cores @ up to 3.3GHz Turbo at $850, and a version with 16 cores @ up to 3.3GHz Turbo at $550. VentureBeat quotes the Ampere eMAG to be about three times better at performance per dollar compared with Intel's Xeon D processors. Furthermore, an upcoming generation of eMAG processors will take advantage of TSMC's 7nm process technology. 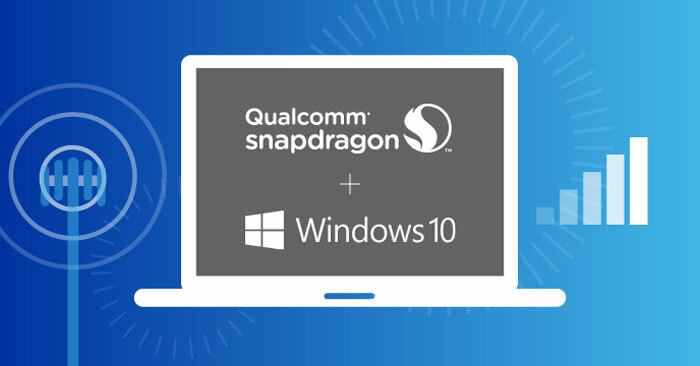 Qualcomm's first chips designed specifically for Windows PCs will form the Snapdragon 1000 series. German site WinFuture reports that the first of these chips, the octacore SXC8180, packs a total of 8.5 billion transistors into a single chip. It is expected to feature a 12W TDP and be popular with systems makers developing 'always-on PCs' in laptop and 2-in-1 form factors. HardOCP compared the SD1000 transistor count with others for reference. It states that the 7nm Apple A12 and Kirin 980 processors feature 6.9bn transistors, and Qualcomm's own SD845 5.9bn. An AMD Raven Ridge die in some low power laptops has even fewer transistors, under 5bn. SD1000 transistor count…..what are all those extra transistors for? The Ryzen CPUs and APUs have under 5 billion transistors. Areas for specific customer customisation - a sort of PGA on the die. But any other guess is as valid as those. That's got to be the highest core speed we've seen on the ARM architecture. Good to see their designs finally being fully tested outside of just phones and tablets. Most likely answer is cache ram and buffers sprinkled around the design. Each bit of ram is 6 transistors, the bits are packed in a nice grid. The regularity make it much easier to pack the transistors in tight, compared to logic circuits which are a collection of different types of gate with complex wiring to connect them.